Because there were no camp sites available for the time slot we wished to stay we camped in “The Field” at Hat Creek Hereford RV Park & Campground which serves as overflow camping for a rig or two. We were told the field would flood when the neighboring farmer flooded his field. Oh, great… Nevertheless we took our chances based on reassurances from the campground host that wasn’t likely to happen during our stay. 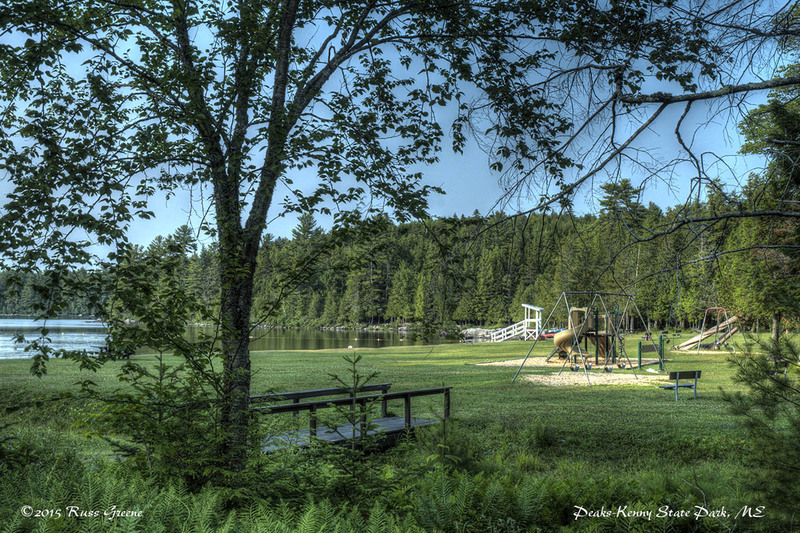 Hat Creek Hereford Ranch RV Park & Campground is what I would call a rural, family oriented park. 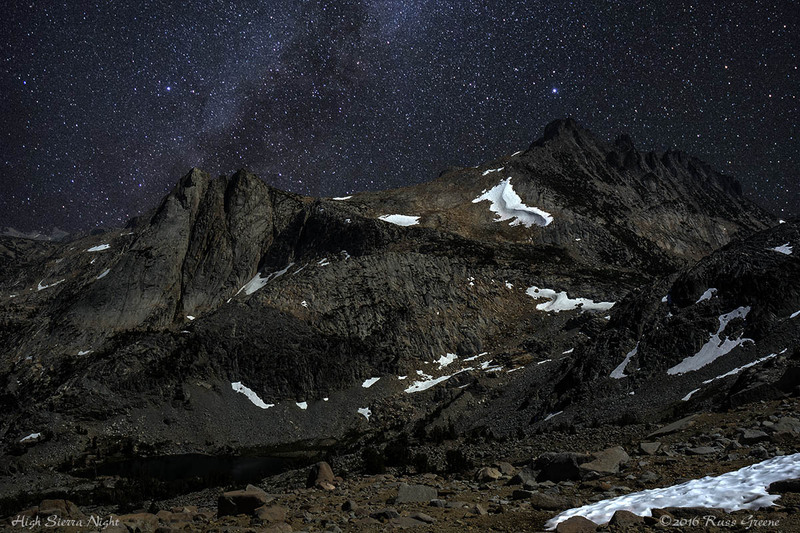 This park is situated north of Lassen Volcanic National Park which is why we came to the area. Although there are other camping options nearby including another independent park and some Forest Service campgrounds, this is the only place we could find a spot in which we could fit, and as you will see it wasn’t really a spot. Situated just outside Burney CA is the lovely McArthur-Burney Falls. It is a worthwhile but often over-busy sight to see if you’re in the area. 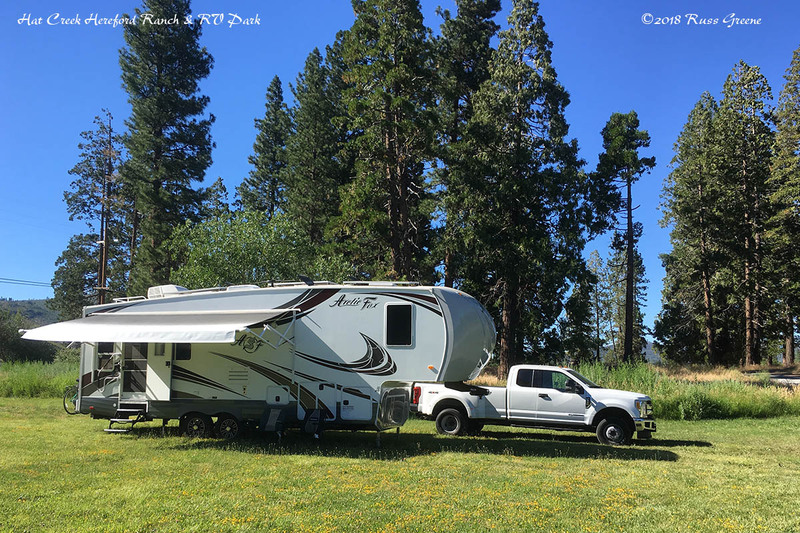 We visited when camped at Hat Creek Hereford Ranch & RV Park north of Lassen Volcanic National Park which is about 20 miles from the falls. Diane & I set out on a cross-country RV trip on June 29, 2018. The first destination of note was Lassen Volcanic Park in CA. We camped to the north of the park at Hat Creek Hereford Ranch & RV Park which is situated about midway between the park and the waterfall. The latter is lovely to see, of course, but it also offers a cooling respite on hot summer days as the canyon below the falls remains naturally chilled. Despite some trail closures in McArthur-Burney State Park we were able to enjoy a short hike that encircled the falls. Note that parking at the falls is limited and it can be difficult or impossible to get in to see them. Choosing your arrival time can make all the difference. Admission was $10 per car when we were there, $9 for seniors. See their web page formore information. Taken near Cedar Pass Campground in Badlands National Park. I haven’t written a great deal lately–I’ve been very mobile. As I post I am just a few miles outside Arches National Park in Utah. I made a beeline here from Badlands National Park in South Dakota, stopping briefly at Mount Rushmore, followed by a few one-nighters on my way here. 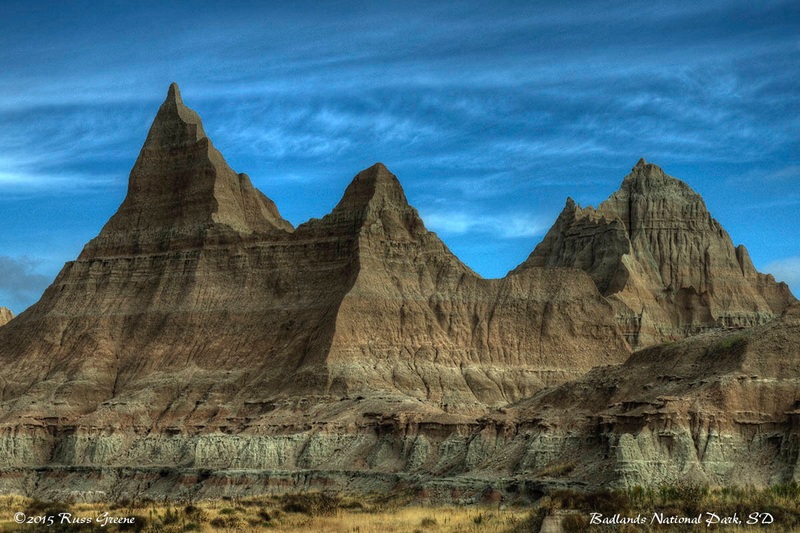 This photo gallery includes pics from Omaha, NE, Badlands Nat’l Park and Mt. Rushmore in SD, and Arches Nat’l Park and vicinity in UT. While you should be able to view images in the gallery on a mobile device they will be too small to appreciate, so, if you can I suggest using a desktop or laptop computer. The bigger the screen the better. One click on a thumbnail should show caption or part of it, and a second click should bring you into the slide show where clicking on the left or right will enble going forward or backward… I hope. LOL. Roadside: Utah Highway 128. That’s the Colorado river. This view is from the Cedar Pass Campground at sunrise. 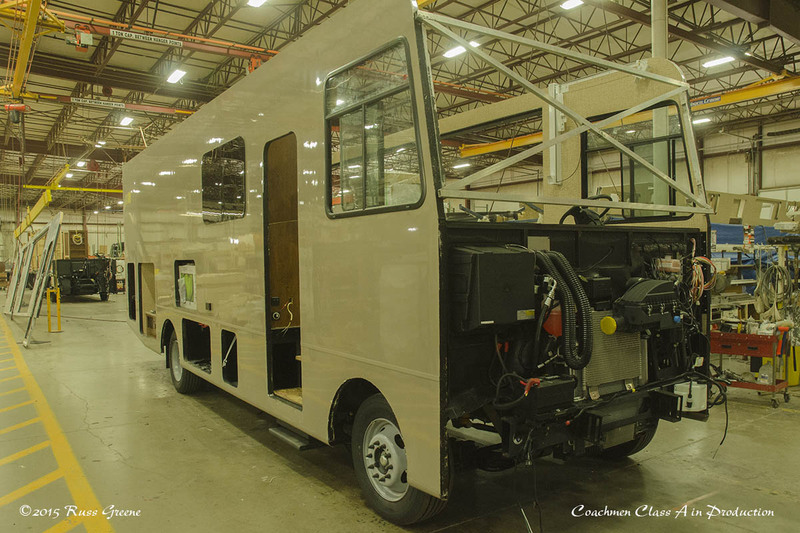 It feels very odd to see a rig in the process of being constructed when we are so used to seeing only the finished product. 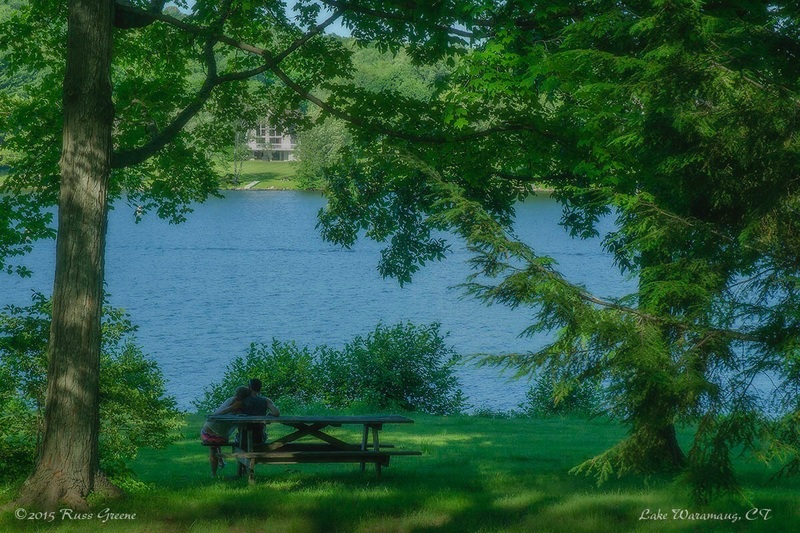 A young couple enjoy each other’s company along the shore of Lake Waramaug, CT.